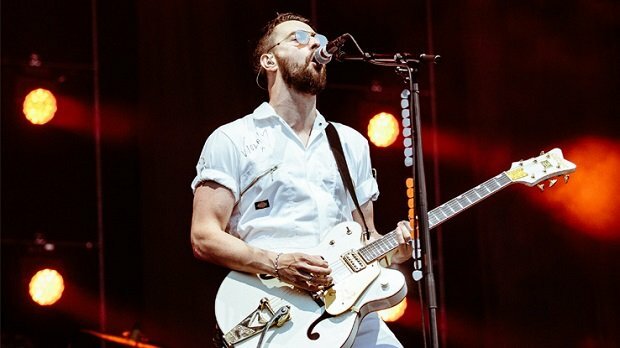 Ahead of their Leeds and Reading set last weekend the Courteeners have announced news of their 2018 tour. The indie rockers will take to the road for a string of shows with support coming from Scottish singer-songwriter Gerry Cinnamon and pop-rocker Zuzu. Tickets for the 12-date tour are on sale now. The band formed in 2000 and have since released five studio albums, including 2008 debut St. Jude. Major hits include 'Not Nineteen Forever', 'You Overdid It Doll' and 'Are You In Love With A Notion?'. Earlier this year the band released St. Jude Re:Wired, a reworked version of their debut album to celebrate it's 10th anniversary. The album reached the Top 5 in the Official UK Albums Chart and the band played sold-out charity shows at London's Royal Albert Hall and Manchester Arena to mark the occasion. The Courteeners' 2018 tour starts on Thu 15 Nov at Victoria Hall in Stoke, calling at a host of cities up and down the country before finishing off on Sat 1 Dec at the O2 Brixton Academy. Tickets for the Courteeners 2018 live shows are on sale now. Mouthy Manchester indie outfit touring their latest album Concrete Love. With James, DMA's and Pale Waves.